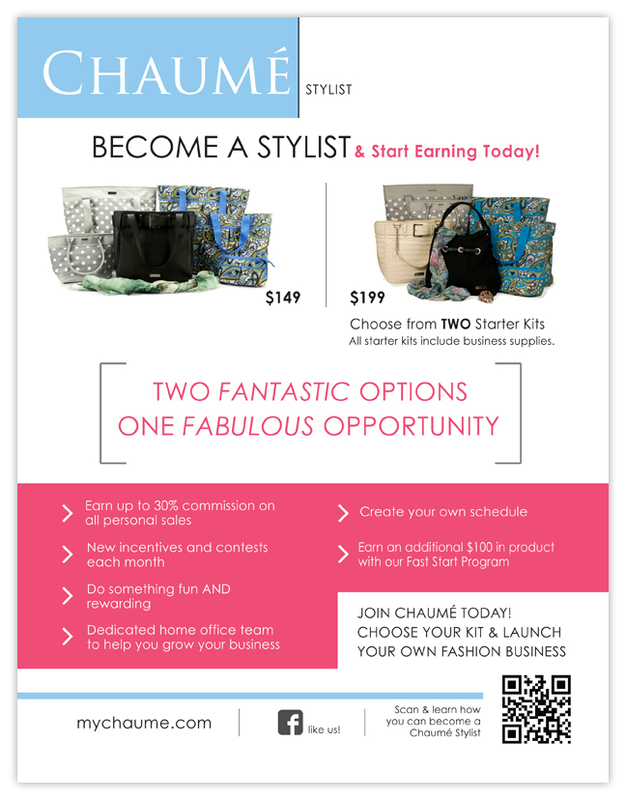 Designed a two-sided flier for Chaumé to promote their stylist and hostess programs. The flier was designed to reach Chaumé's target market of 20-50 year old women. The flier uses white space paired with bold colors and vivid images of products. Chaumé wanted the flier to have a "magazine" like feel. The PDF version of the flier includes clickable links to their website and Facebook page. A QR code was also included for quick access to their stylist and hostess website pages.